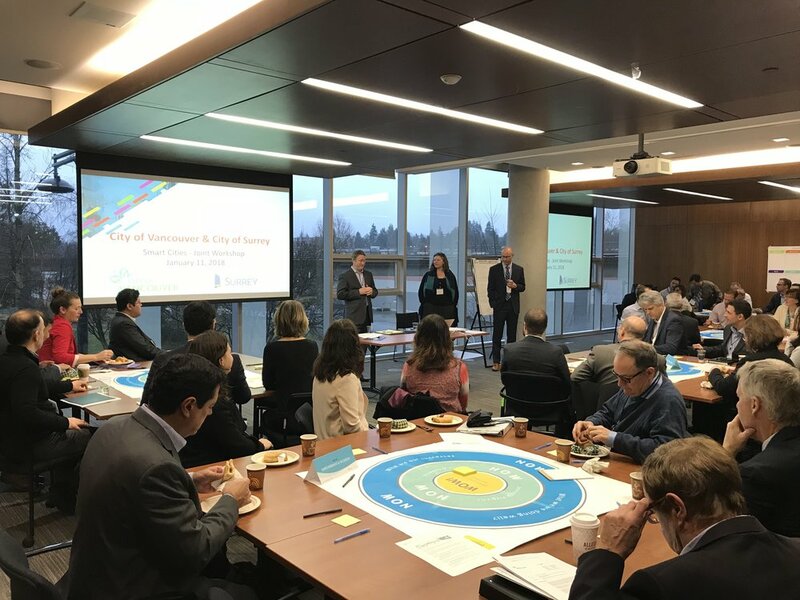 The City of Surrey and the City of Vancouver awarded MODUS the project of facilitating a conversation involving all senior staff at both municipalities to land on their big idea for the $50 million category of Infrastructure Canada’s Smart Cities Challenge. Our challenge was to build a consensus between two municipalities on an award-winning smart city idea. We used idea-generating techniques and consensus-building exercises to spark conversations between a client group that hadn’t worked together previously on such a scope. We helped focus the conversation and narrow their ideas. MODUS custom designed and led workshops with over 60 senior staff, tech industry leaders and invited specialists. 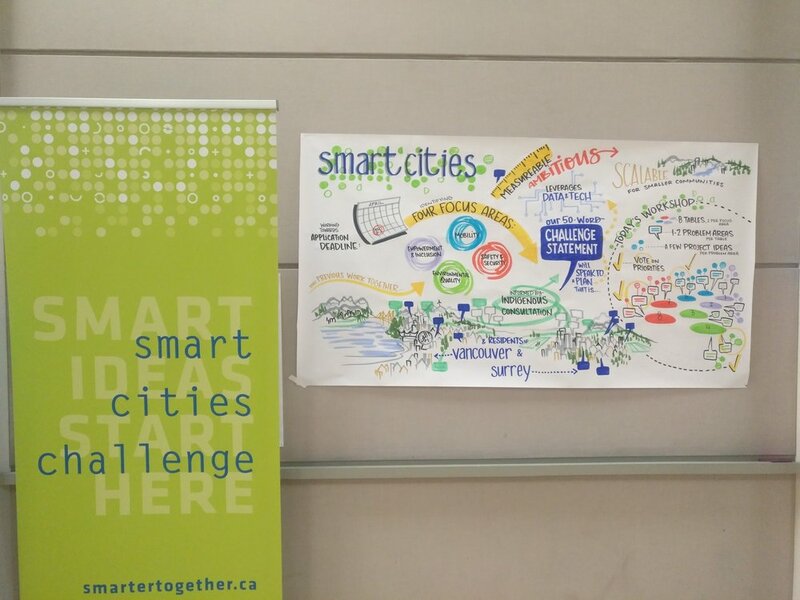 Being #SmarterTogether led to their proposal being shortlisted and $250,000 from Infrastructure Canada to further refine their idea. Together, Surrey and Vancouver, will further investigate Canada’s first two collision-free multi-modal transportation corridors, leveraging autonomous vehicles and smart technologies to demonstrate the path to safer, healthier and more socially connected communities while reducing emissions, improving transportation efficiency and enhancing livability in the face of rapid growth and traffic congestion. Final Smart City Challenge award winners will be announced in Spring 2019.